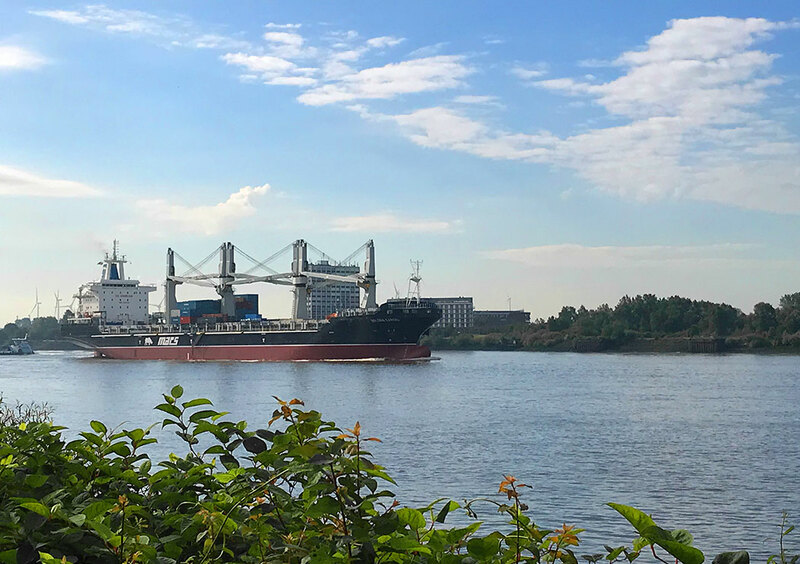 During the past 5 months, May to September, MACS has successfully dry docked all four vessels of the Blue Master II class at Blohm & Voss in Hamburg, these vessels were built in 2013 and were due for their first classification. Blue Master II was the first vessel to go into dry dock at the beginning of May, she was followed by Golden Karoo in June, Bright Sky in July and last, but not least, Green Mountain at the end of August. We are very proud that all four vessels passed through the classification program to the full satisfaction of the classification society DNV-GL as well as MACS. We used this opportunity to also give the vessels a complete makeover and shine to new splendor, they look stunning. Pleasingly the preparations and schedule adjustments, which were planned in advance, turned out as planned and we were able to maintain our normal liner schedule. We are very grateful to Blohm & Voss for their excellent cooperation, accuracy and professionalism for the duration of the operation which ensured a very successful result. MACS Maritime Carrier Shipping GmbH & Co.
MACS Maritime Carrier Shipping (PTY) Ltd.
MACS Maritime Carrier Shipping, LLC. MACS Maritime Carrier Shipping Pte. Ltd.